No referral needed. Get scheduled today. Chiropractic treatment relies on manual realignment of the spinal column, as well as other non-invasive treatments that do not require pharmaceuticals of any kind. Many people who undergo chiropractic treatment are surprised to feel a noticeable improvement in pain levels after just a few sessions. There are many pain management options that focus on treating pain symptoms. Chiropractic treatment focuses instead on treating the underlying cause of pain. Chiropractic medicine focuses on the musculoskeletal system, and especially on the spinal cord. The federal National Center for Complementary and Integrative Health notes that chiropractic care was the most commonly utilized treatment by patients for the treatment of back or joint pain. From migraines (and other headaches) to nerve or muscle pain – and accidents to overuse injuries – chiropractic care may ease your pain and allow you to resume your previously pain-free activities. Since chiropractors focus predominately on the spinal cord (and connected musculature and nerves), their understanding and knowledge related to spinal manipulation techniques is extensive. Ready to Try Chiropractic Treatment? Call and schedule an appointment today. No referral required. What is the Range of Disorders and Patients Treated by Chiropractors? Chiropractors care for patients of all ages, and with a wide variety of health conditions. Aging is recognized as a causal factor for a reduction in cartilage that provides cushioning between each vertebra and the joints – and the result can be pain and stiffness. While chiropractic care does not treat arthritis, it can alleviate the pain caused by it. Around 23 percent of all adults in the US have been diagnosed with arthritis (per the Arthritis Foundation). Chiropractors also typically utilize diagnostic tools (e.g.,x-rays) to confirm the pain source and determine the best treatment approach to alleviate the pain that you are experiencing. Chiropractic care is safe in most circumstances, because it is a noninvasive treatment modality targeting neuromusculoskeletal pain that does not involve medication or surgery. However, chiropractors also understand the limits of chiropractic manipulation, and that some patients will not benefit from chiropractic treatments. Although chiropractic medicine has an excellent safety record, no healthcare intervention is completely free of potential adverse effects. However, the risk of an adverse effect is low. 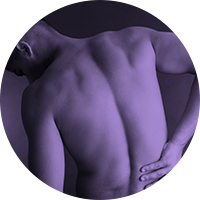 Current research shows that any discomfort or soreness experienced during (or following) spinal manipulation usually fades within 24 hours of the treatment. Does Chiropractic Care require a Referral from a Physician (MD)? You do not need a referral in order to visit a chiropractor for treatment. However, your health insurance plan may require a referral for coverage of your chiropractor visit. Notably, many health insurance plans do cover chiropractic sessions. If you do not plan to self-pay for your chiropractic sessions, it is best to check with your insurer first regarding coverage prior to making an appointment for chiropractic treatment. While chiropractic care is usually targeted at adults, children may also benefit from chiropractic care depending upon the cause of their spinal-related pain. How Often (and Over What Length of Time) Should I Receive Chiropractic Care? Some people feel better after just a few sessions with a chiropractor. The recommended number of weekly visits (and time period in weeks or months) depends upon your unique circumstances. Chronic pain typically takes longer to dissipate than pain lasting only a short time before chiropractic care ensues. After performing an assessment, your chiropractor will develop an individually-tailored treatment program for you. Are chiropractic spinal manipulations painful? Most patients do not experience any pain at all during a chiropractic manipulation. Furthermore, patients often report feeling immediate pain relief from some treatments (e.g.,electrical stimulation). The likelihood of initial soreness or discomfort after a chiropractic adjustment is similar to that from commencing an exercise program. Over time, the discomfort experienced is lessened (if the patient does not re-injure the affected area of the body between chiropractic sessions). Additionally, chiropractors usually aid their patients in understanding the body mechanics necessary to avoid future injuries.